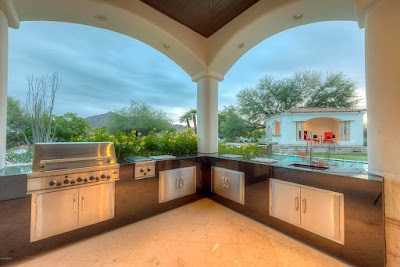 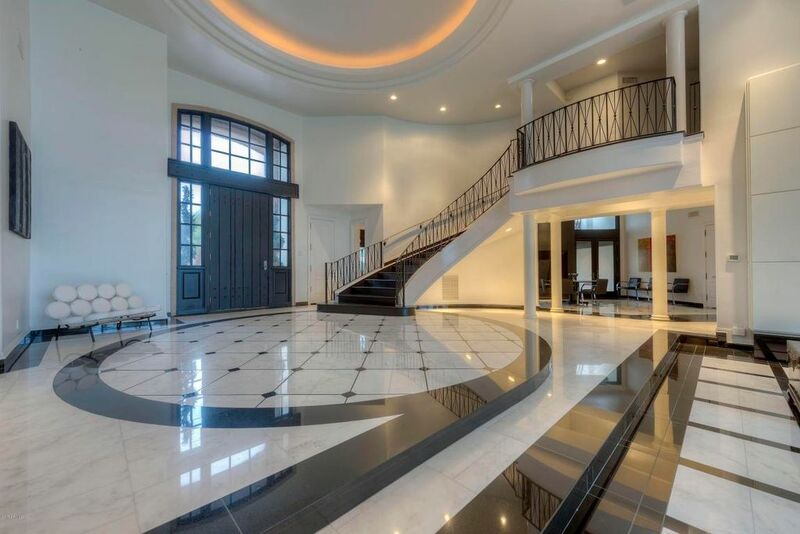 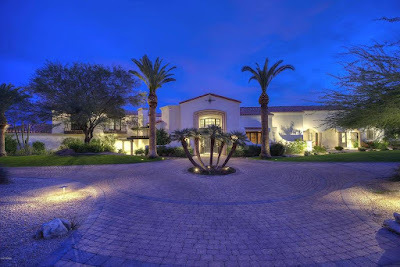 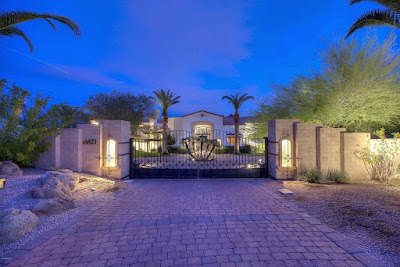 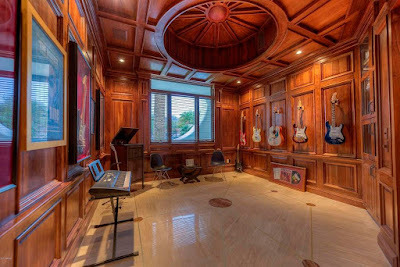 This Spanish-style mansion was built in 1999 and is situated on 3.2 acres of land near Camelback Mountain. 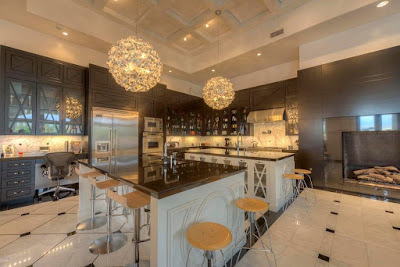 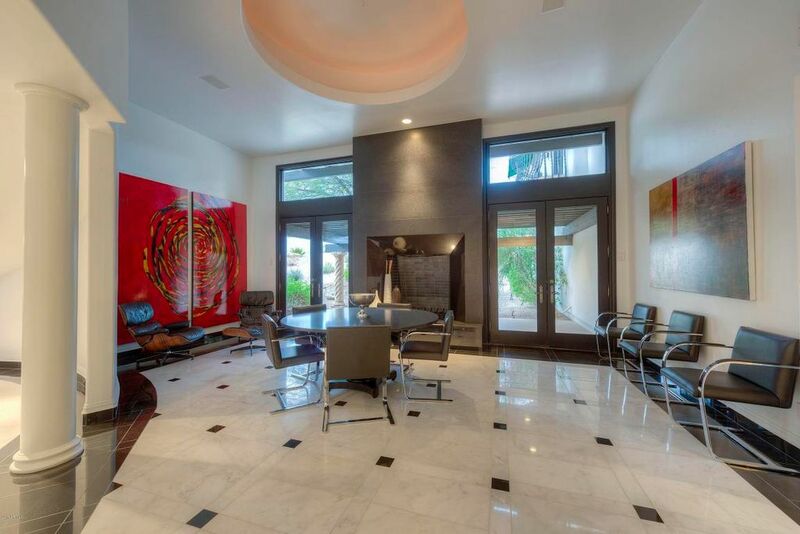 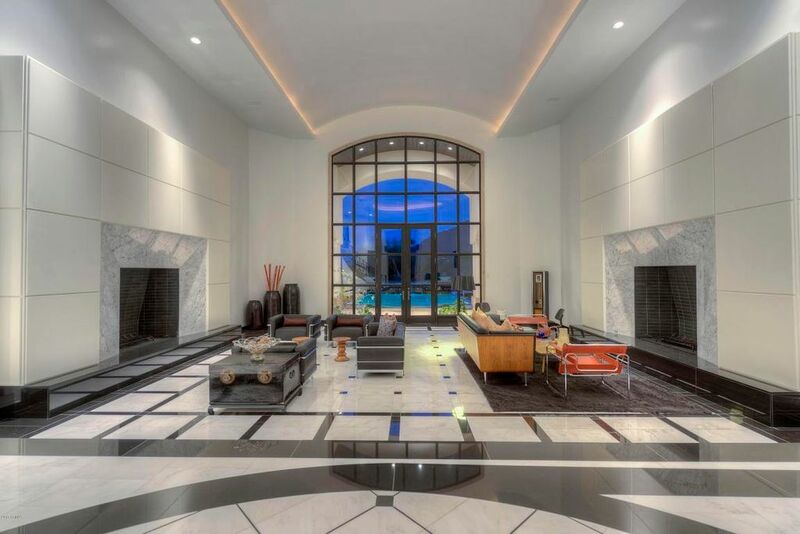 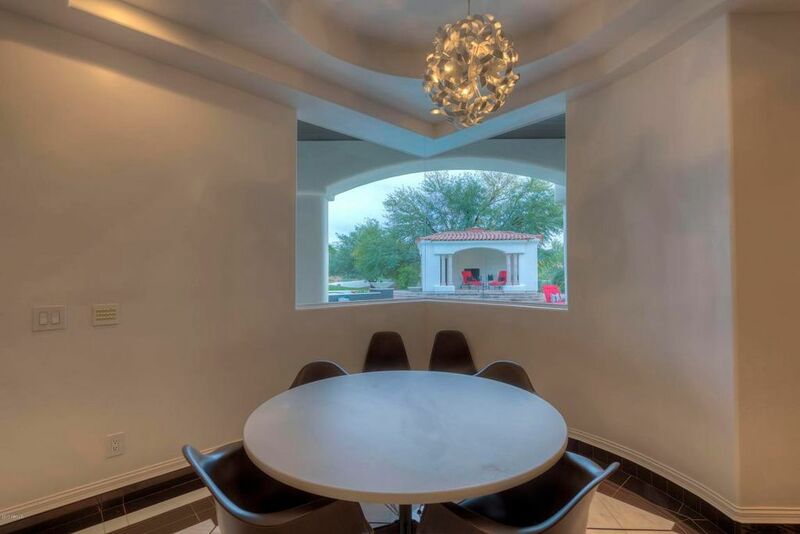 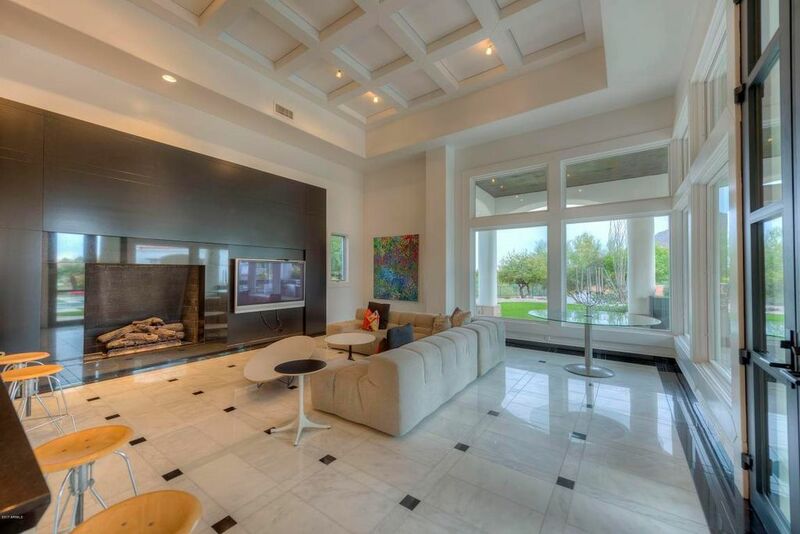 The desert home, located in Paradise Valley, AZ, boasts a contemporary interior with soaring ceilings throughout. 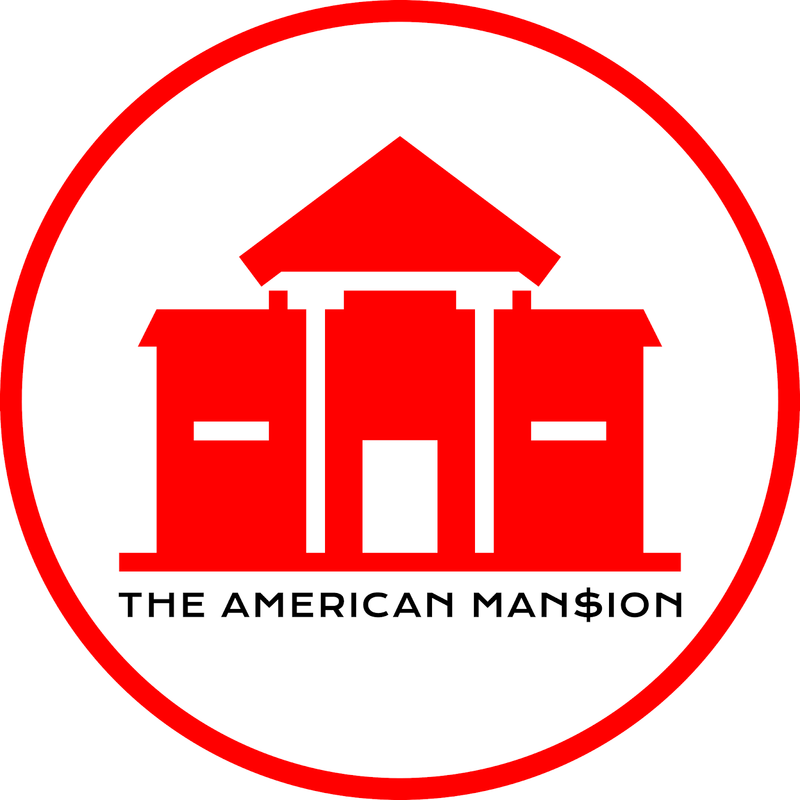 It features approximately 11,001 square feet of living space with six bedrooms, 10 bathrooms, two-story foyer with sweeping staircase, 30' two-story great room with two fireplaces, formal dining room with fireplace, butler's pantry, gourmet kitchen with double islands, breakfast room, wet bar, family room with massive fireplace, wood paneled music room, home office, exercise room, wine cellar, computer room, and a nine-car garage. 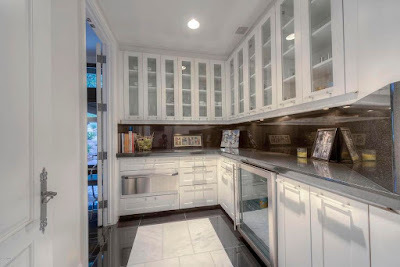 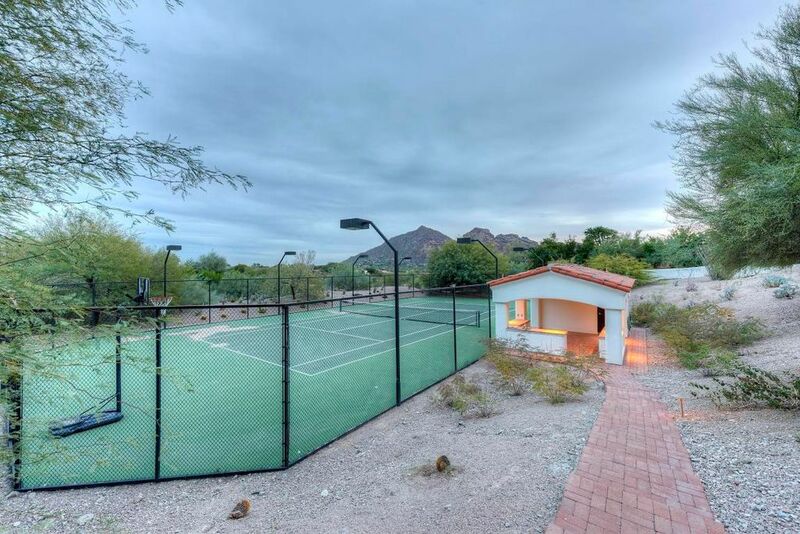 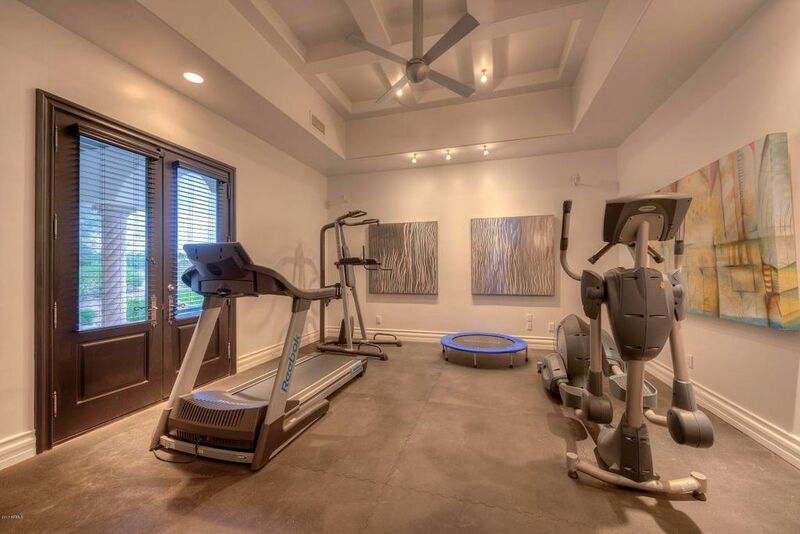 Outdoor features include a gated entrance, motor court, covered and open patios, BBQ kitchen, swimming pool with separate spa, pavilion with fireplace, and a lighted tennis court. 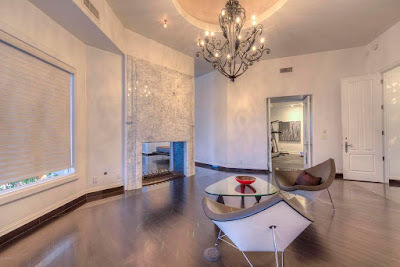 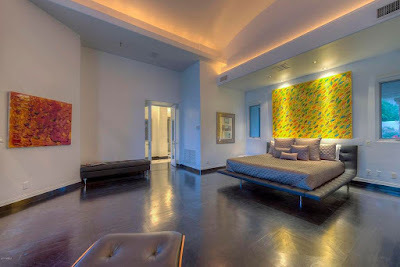 The property also includes a 1,546 square foot two bedroom, two bathroom guest house.